Picking up a golf club for the first time can be quite daunting. How are you supposed to hold the club, why are there so many different clubs and how do I know when to use which club, how should I stand, is there a certain way I should swing the club - the list of questions goes on. Many new golfers have been helped tremendously by one or two initial coaching sessions to start them on their way. The best qualified people to deliver those lessons are PGA Professionals - they are there to help you learn some golfing skills and to answer the many questions you have when you first start out. 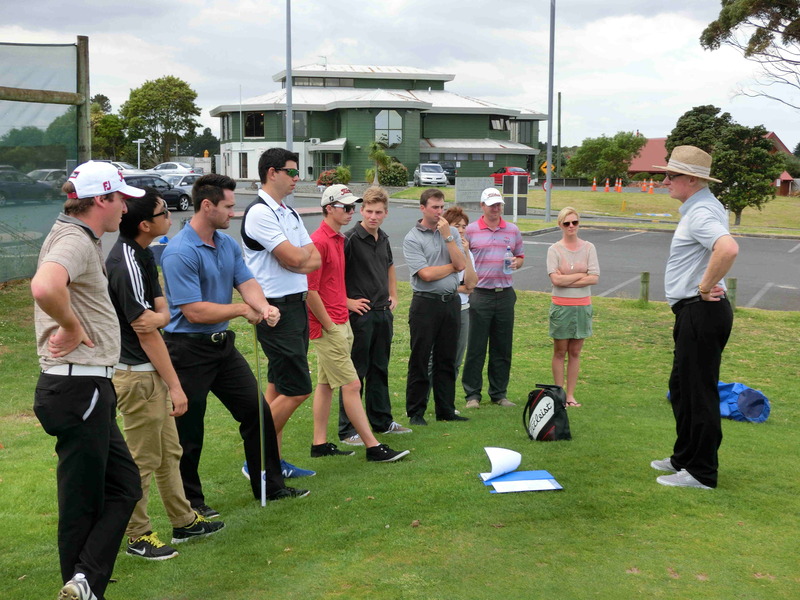 PGA Professionals that are members of the PGA of NZ have all undertaken extensive training in a education system recognised globally as the best form of golf coach training possible. Many golf clubs have a Pro-shop and a Professional available to help. PGA Professionals are also available through the numerous golf driving range facilities throughout New Zealand. The cost of a session can vary depending on location and the experience of the professional. You might expect to pay from $50 to $180+ per hour for an individual lesson. 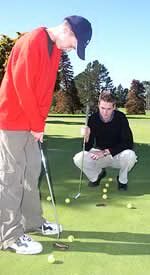 Group coaching can cost as little as $10 per hour and is a great way to meet golfers at the same level as you. Long term coaching (not lessons!) can be a game changer to the enjoyment that you can experience through the game. Gone are the days of the silver bullet and magic water to instantly turn you into a tour pro. Like all skills in life, they develop over time and PGA Professionals are there to help you on your path to enjoyment - whatever that may look like each individual. It also pays to remember that even the best players in the world still need coaching and on rare occasions hit shots that are remarkably similar to those we make as beginners ie bunker shots. Only PGA Professionals have received the training necessary to improve your game - make sure you look for the PGA logo or ensure that the Professional you see is a member of the PGA of New Zealand. PGA Professionals - Making Golf a Better Game ! Want to get started? Check out some articles from PGA Professionals across the country. The Bump and Run shot can save many scores! How can I locate a PGA Member in my area? Let the PGA Member know when you make an appointment. The Professional will provide you with suitable equipment until you decide to purchase your own equipment. This will depend on the Golf Clubs dress regulations, be sure to ask in advance. Simply wear casual comfortable clothes and sports shoes if you are heading to a public Golf Course or at a Driving range. What is the average cost of coaching? Prices generally still exist per hour and are anywhere in the range of $50 - $100 per hour of time for one on one coaching sessions. Group coaching is a great way to get rolling and cost as little as $10 for an hour in a group environment. A lot of coaches are moving towards a long term developmental plan for players at clubs which encompasses some one on one time, on course sessions, skill based practise sessions and a look at how the physical body affects the technical aspect of the golf swing. A PGA professional should be setting up an environment where you can learn some of the skills needed to play the game. Most importantly it should be fun and stress free!